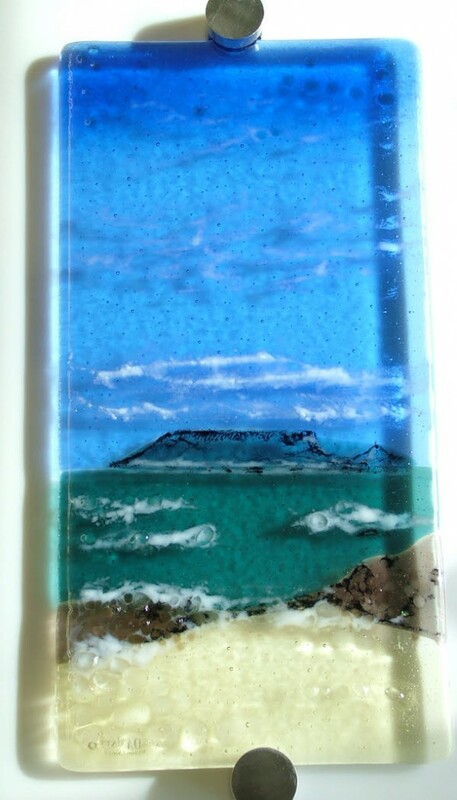 Table Mountain Fused Glass Wall Art. A Gift. 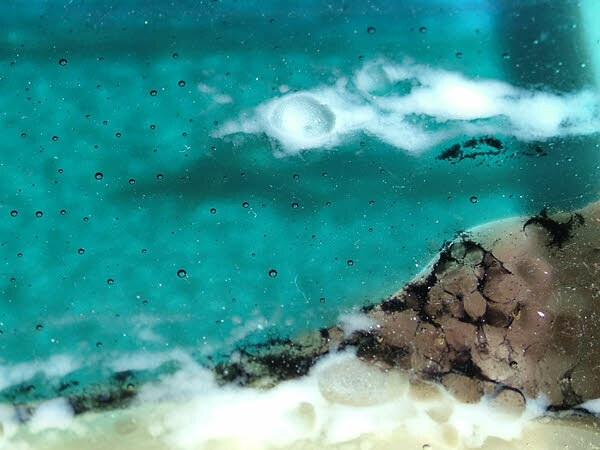 This is a single piece of fused glass which will be wall mounted with 2 stainless steel fixings. The view from a far beach to the Table Mountain is a widely used image and very recognisable. 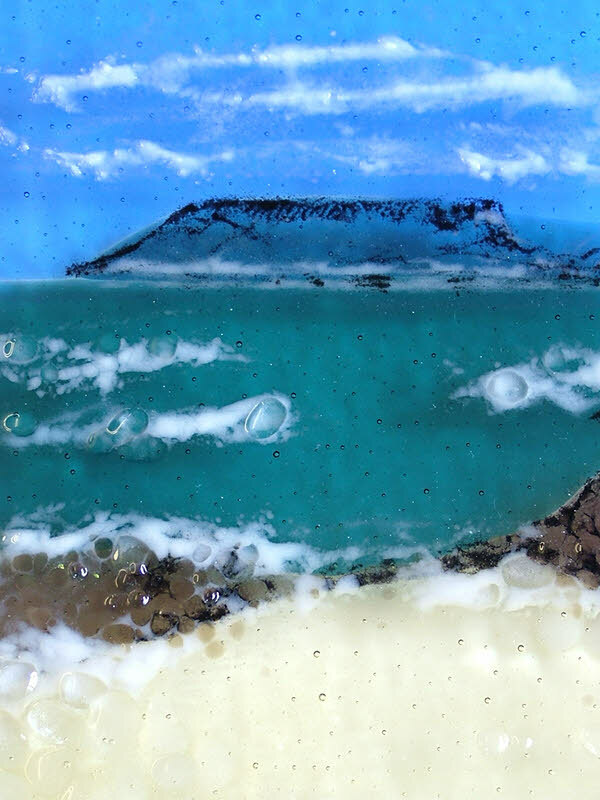 There are always clouds that hang over the top and these I have created using fine glass powders fashioned with a paintbrush and then fired in the kiln. I have used larger pieces of fusible glass, ‘frits’, to create the rocks and pebbles in the foreground. This was made as a 40th Birthday gift for someone who has special associations with Table Mountain.